Let Sparkling Clean Carpet Care take one more job off your hands with a powerful, yet safe and gentle, cleaning process. 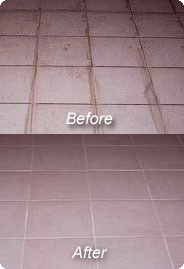 We utilize a specially developed tile & grout cleaning solution in conjunction with high-pressure and a hot water rinse. The hydramaster vacuum removes the soil and water while leaving the floors completely dry when we are finished. We can restore all of your ceramic tile and grout surfaces – bathroom floors, shower floors, kitchen floors, tiled foyers & entryways, tiled halls, sunrooms, and more! Your Furniture Will Last Longer! 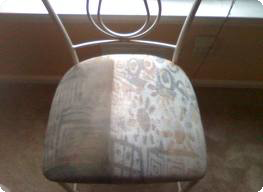 A frequent deep cleaning of your upholstery will ensure a longer life for your favorite furniture. Upholstery involves a variety of fabric types. We will give you an estimate when you schedule the cleaning and give you a final quote after we see the items to be cleaned. Sparkling Clean Carpet Care can provide any type of cleaning service from simple to delicate fabrics.